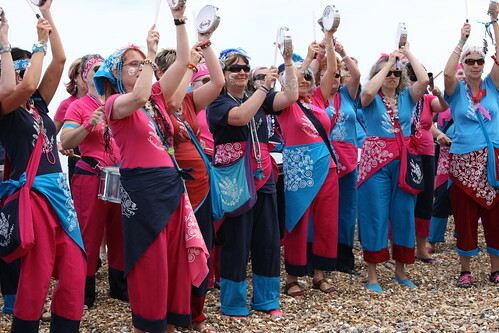 The Whitstable Oyster Festival, by its existence, gives a platform for the local community to develop and explore endless possibilities. 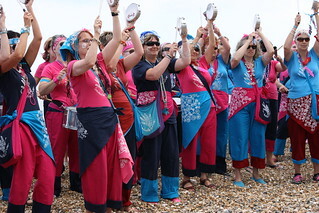 Samba Pelo Mar is not just a Samba band, it is Whitstable's own community Samba band, made up with people from all walks of life. Seen here on the beach entertaining the crowds forming to await the Landing of the Oysters. Surprising? Maybe, but then Whitstable is full of surprises and contradictions which is why it's such a great place to visit or live in.